A video of actress Maureen Lipman being shown around Penzance Jewish Cemetery by Keith Pearce is now available. She found the inscriptions on some of the gravestones heart warming. Taken in July 2015, extracts filmed by Reef Television & Channel 4, courtesy of Maureen Lipman. View the video now at the bottom of the Penzance Jewish Cemetery page. 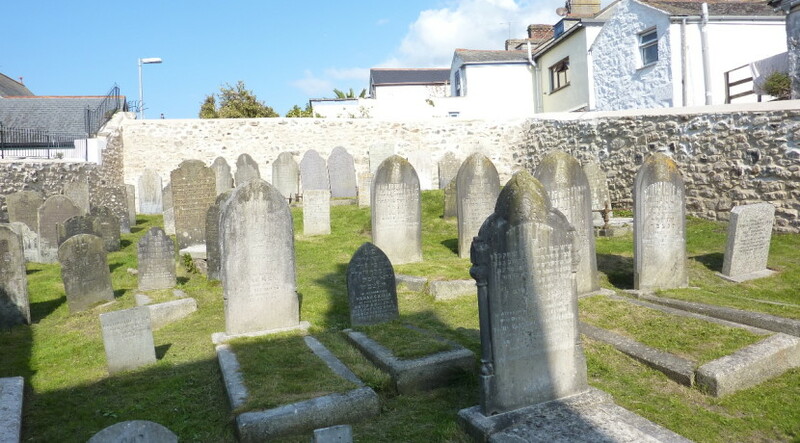 The Penzance Jewish Cemetery restoration has been completed overseen by the Friends of Penzance Jewish Cemetery on behalf of BOD Heritage Limited, the owners. The contract was given to local craftsman Mike Penaluna who tragically died shortly after starting the work. We are grateful to Leo Penaluna, his son for completing the work to a very high standard. The cemetery walls and entrance now look in a pristine condition. The funds for the project were donated by over 60 individuals and organisations principally by the Heritage Lottery Fund and including the Cornwall Heritage Trust, The Town Council, many local residents, Jewish charities and descendants of those buried in the cemetery. We have posted the new photos in our photo gallery.